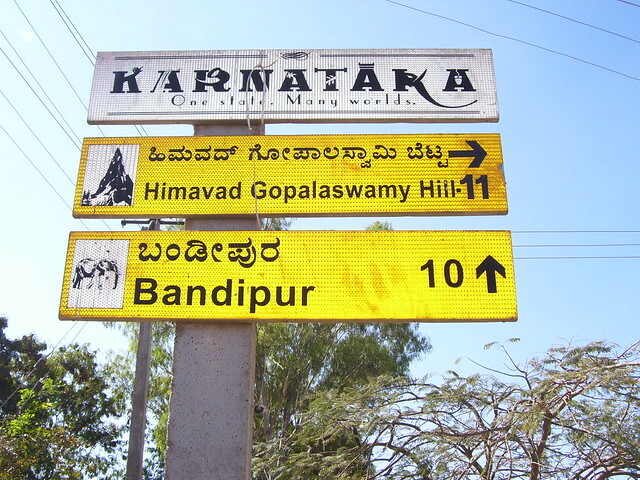 Himavad Gopalaswamy Betta, is a hill (betta in Kannada) located in the Chamarajanagar district of the state of Karnataka,at a height of 1450m India and is extensively wooded. 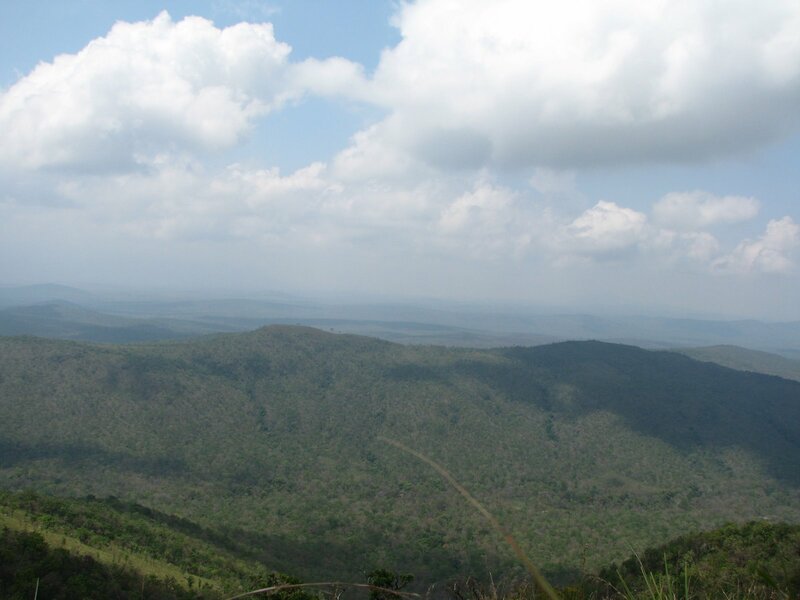 It is also the highest peak in the Bandipur National Park. Dense fog predominates and covers the hills round the year and thus gets the prefix Himavad(in the native language of Kannada) and the temple of Venugopalaswamy (Lord Krishna) gives the full name of Himavad Gopalaswamy Betta. This temple was built by the Hoysala King Ballala during AD 1315. 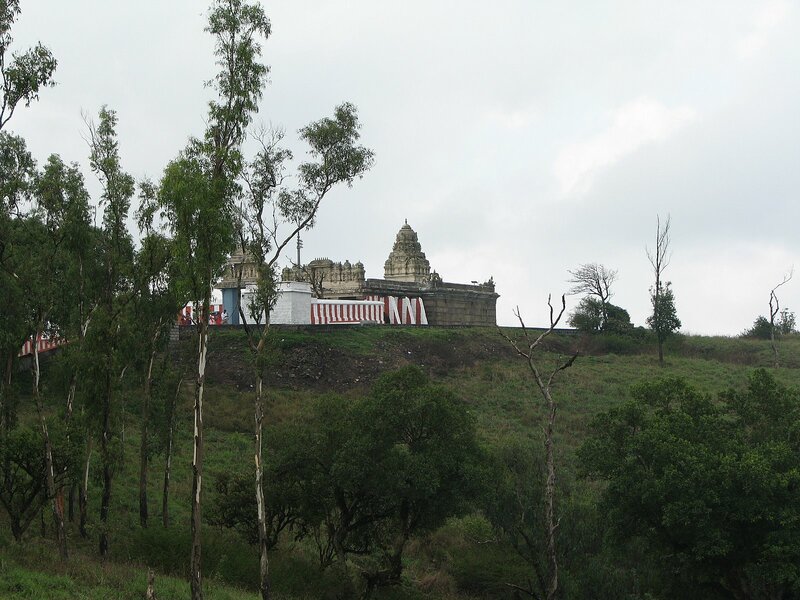 Later the Wodeyars (Wodeyar dynasty) of Mysore who were ardent devotees of Lord Venugopala displayed keen interest in maintaining the hill temple. 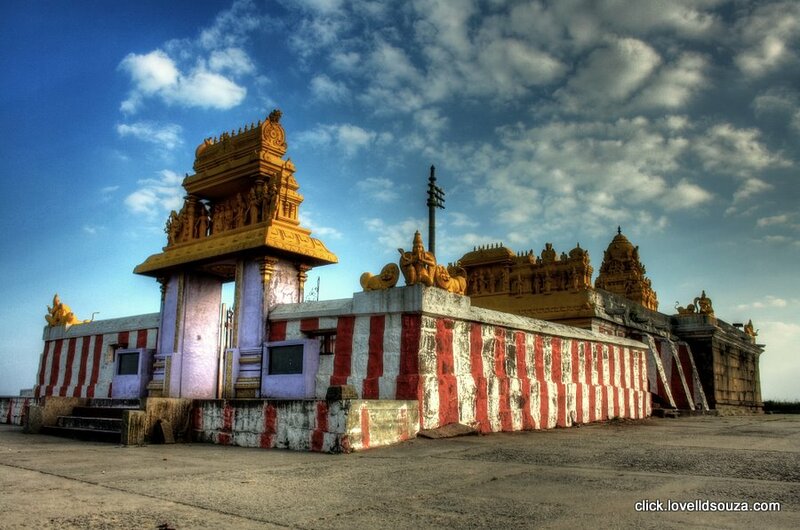 The temple is dedicated to Gopalaswamy, which is one of the names of the Hindu God Krishna. The gopuram of the temple is single-tiered and rests on the compound wall of the enclosure. A dhwajastambha (flag-pillar) and a bali-peetam (sacrificial altar) is present in the mukha mantapa (inner-porch). The parapet wall of the facade of the mukha mantapa contains the sculpture of dashavatara (the Avatars of the Hindu God Vishnu) with the centre portion of the sculpture depicting Krishnavatara (the Avatar of Vishnu in which he appeared as Krishna). There is a shikhara tower over the garbha griha (sanctum sanctorum). 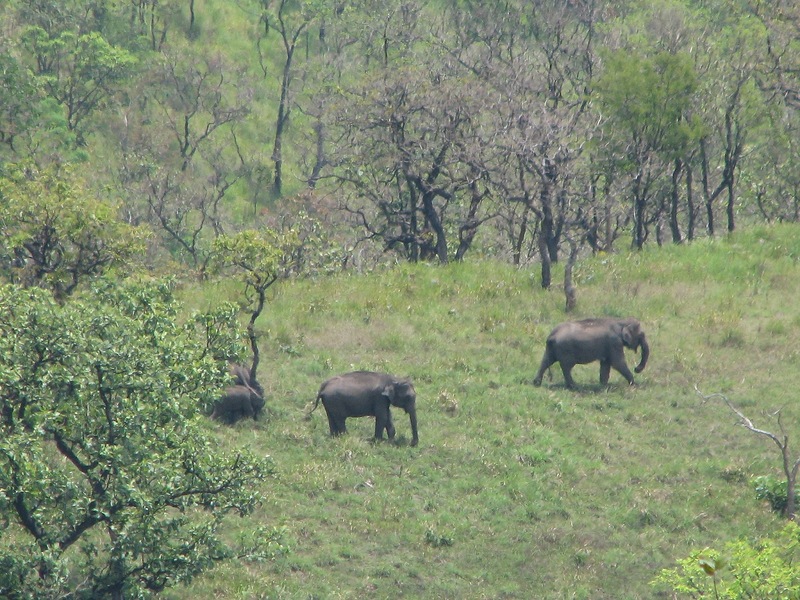 Being a part of the Bandipur National Park, the hills are frequented by grazing wild elephants. The place is also known for its picturesque views of the surrounding hills, valleys and visitors may also see the spectacular sunrise and sunset from the top. This temple is located in the heart of Bandipur National Park, is a vital habitat of wildlife such as Tiger, leopard, Wild Dogs and other herbivores such as Indian Gaur, Chittal, Sambar etc. Venturing beyond the temple premises is an offense as per Wildlife Act 1972, The Forest department is concerned by the increase in number of tourist visiting the temple and causing disturbance. Trekking, Picnicking, Partying etc. are punishable offense. Hence visitors are requested to refrain from venturing beyond the temple premises. To minimize disturbance on wildlife entry timing has been changed to 8:30 am to 4:00 pm. And permitted time to return back is 1 hour 30 minutes with effect from 01/Feb/2011. It is approximately 220 km from Bangalore and 75 km from Mysore. From Mysore take the Ooty route via Nanjangud and Gundlupet(60 km from Mysore). The road gets worse from now on for another 15 km till you reach a small village called Hangala. Slow down here and watch out for a sign board that says take right to the Hill. There is a motorable road all the way to the top of the hill. Entry fee is collected at the forest depeartment checkpost at foot of the hill. Its a 7 km ghat section with awesome scenic view points. The checkpost does not open until 7am and closes after 5pm. So, make it a point to reach at the foot of the hill at exactly 7am for the best experience. 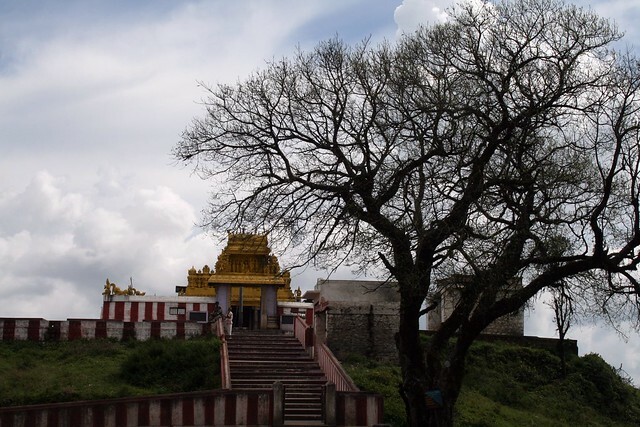 There is a forest department guest house at the top of the hill, which can be reserved in advance through the forest office in Mysore or Bandipur. The guest house provides basic accommodation, food and other essentials should be brought along by visitors. Water/Ice always keeps dropping on the head of the Lord 24×7, 365 days. Dense fog predominates and covers the hills round the year and thus gets the prefix Himavad. Feel the chill instantly once you reach the hill top. Play with the clouds and enjoy your moments at the place. Its a one day trip, no need to have huge luggage. Reach the base by 7am. By 9 30 it becomes just another hill. Be careful, elephants are spotted frequently here. Take your vehicle, there is no Govt. Bus service to this place. Visit Nanjangud temple on the way back. Total Journey: Bangalore-Mysore-Gundlupet-Hangala-Himavad Gopalaswami betta-Hangala-Gundlupet-Mysore-Bangalore is 430 km. Time from Bangalore to hill non-stop is 4 hrs. Liquor and smoking is strictly prohibited. This area is covered under the Project Tiger for Bandipur wildlife sanctuary and is a no plastic zone. Elephants are very commonly seen in the hill area; sometime on the roads too..! So beware of Elephants. Overnight stay on top is not allowed due to wild animals attacks. Trekking and videography in the surrounding hills are allowed only with prior permission and to be accompanied by the forest department guides. No food is available at the hill.